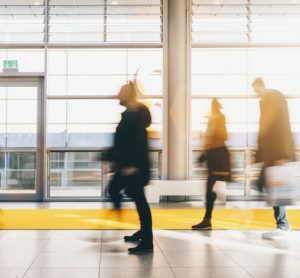 What technology trends should airports look out for in 2019? Recently biometrics have become more of a reality than a thing of the future, and contactless identity management via biometrics has become the essence of modern passenger experience. With airports such as Heathrow, Changi and Hong Kong all using the latest technology to limit wait times for passengers, biometrics is very much a technology of now. U.S. Customs and Border Protection (CPB) use biometric technologies in their pre-clearance scheme, which allows pre-cleared passengers to pass with ease through border control at an airport. With an increase in facial recognition tech, from companies such as Vision-Box, biometric technology will be seen in more and more airports, where your face becomes your boarding pass. 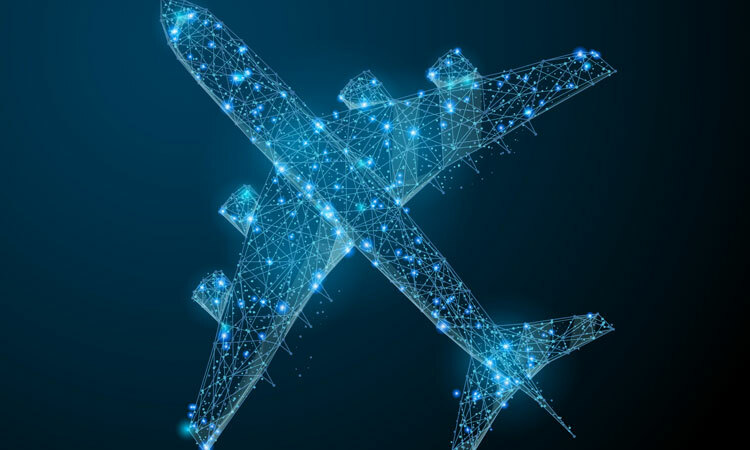 In its 2018 Air Transport IT Insights, SITA predicted that 34 per cent of airports are planning blockchain research and development programmes by 2021. SITA has been working to see if and how blockchain can become the ‘single source of truth’. Innovation hubs such as Lufthansa and Singapore Airlines Group, are working to produce ‘the world’s first blockchain-based loyalty digital wallet’, keeping a permanent record of transactions, which will make rebooking and targeted marketing easier and more personalised. Technology can help passengers with reduced mobility (PRM) find their way with ease around airports. One such deployment is a the new app from Neatebox – a runner-up in International Airport Review’s 2018 awards for the category of Accessibility – which allows passengers to specify and personalise what help and assistance they need while travelling through an airport. This has recently been deployed at Edinburgh Airport. Additionally, airports such as Heathrow and Wellington Airport are leading the charge with Aira’s new venture, which provides an assistance app for those who are blind or have limited vision. We can only expect to see these types of technologies increase to assist PRM around the airport setting. With an increase in airport robots, such as Munich Airport’s Josie Pepper – a humanoid robot which gives assistance to passengers, robotic technology is an easy way to optimise efficiency in the terminal. Additionally, robots can have a huge impact upon the procedural side of an airport, for example Vanderlande’s baggage handling robot technology. The company says that with the use of robotics they are future-proofing the process with the scalability potential, as the demand for these services increases. With much more than robotics falling under this topic, airports and airlines alike have utilised the use of artificial intelligence. The emergence of chatbots on nearly every website reveals the impact and scale that this technology can reach. 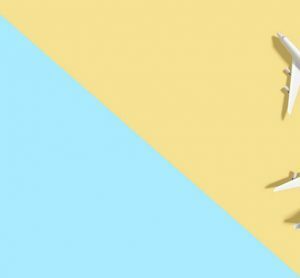 With the potential to be used at every level of the operational infrastructure in the airport, and with an increasing presence for the use of data analytics, AI will soon have a hold of the airline industry that it is unlikely to relinquish. With the emergence and development of augmented reality (AR) and virtual reality (VR), experiences within the airport are changing. AR could be the future of wayfinding – overlaying a smart phone or tablet to signs to give more information, while VR provides a fully immersive experience. 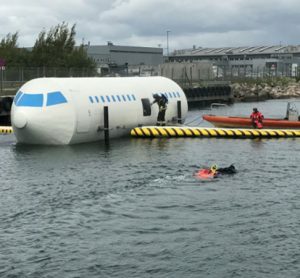 We have already seen the use of VR in training, from the likes of IATA, which by increasing the immersion of conventional training, can enhance traditional theory with effective practical training in a realistic environment. This is especially useful in airside operational training, which can be dangerous and is logistically challenging. Following on from the ‘Netflix experience’ offered to passengers by the advent of new customisable technologies, airports are increasingly partnering with external companies to improve the passenger experience. Initiatives such as delivering goods to gates, be that food and drink, or other purchases are becoming more commonplace. Recently for example, Dubai International Airport partnered with Deliveroo to provide gate delivery of foods. The development of procedures within the airport all strives to give the passengers the most seamless journey possible. Voice recognition technology is hoped to provide the next steps in a seamless experience for passengers. Heathrow has recently joined the trend, enabling passengers to simply ask Alexa for flight updates (times, delays, etc.). Moreover, voice check-in services have been established; United Airlines, in conjunction with Google Assistant have enabled passengers to check-in with a simple “Hey Google, check-in to my flight”. With the ability to customise the experience for individual satisfaction, is voice recognition technology the way to the most personalised seamless journey? As passengers become more and more dependent upon connectivity, airlines have started to implement new ways to carry seamless travel into the sky. A Wi-Fi report by Routehappy, showed an increase of 17 per cent in Wi-Fi availability on aircraft on 2017, as 82 airlines around the world now offer in-flight Wi-Fi. Recently, a study published by the London School of Economics and Political Science (LSE), in association with Inmarsat, predicted that by 2035 airlines could make $15.9 billion of income from broadband access charges. Great read. It will be very interesting to see how technology can help passengers and staff around the airport. Nice. It will be very interesting to see how is new technology for around the airport.